4 Bedroom Semi Detached House For Sale in St. Leonards-on-Sea for £380,000. An attractive semi-detached house offering 108 sq m/1,162 Sq ft of accommodation carefully arranged over three levels with a luxurious open plan kitchen/ diner with BESPOKE German engineered soft close units, feature butler sink, Bosch appliances and quartz work surfaces. 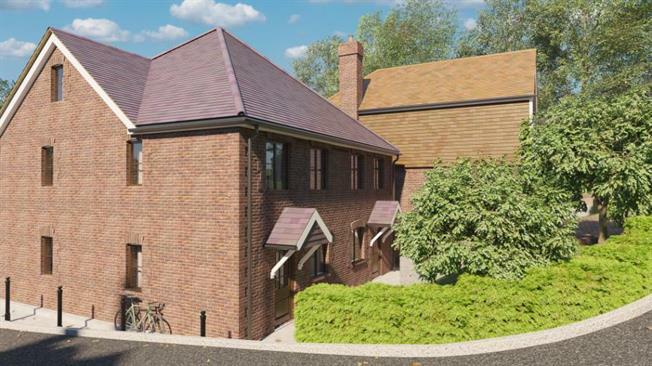 Presenting a living room to the rear overlooking the gardens complimented with log burner and a downstairs cloakroom. The first floor has three bedrooms and family bathroom and the second floor a further master bedroom enjoying an en-suite shower room. Oak doors throughout, complimented with double glazing and gas fired central heating and a host of high specification refinements partnered with modern economical and efficient running costs. An enclosed garden with a southerly aspect to the rear and (parking to the front with) parking for 2 vehicles to the front. HELP to BUY AVAILABLE. All images are computer generated and indicative of the development, not specific to individual plots. For more information please speak to the selling agent.